We often hear the terms “balance sheet” and “income statement,” but all we know is that both are financial documents and are used in businesses. Although this is correct, the two are actually different in many ways and should not be interchanged. In this article, we will discuss exactly what they are and how they are different from each other. A balance sheet, less commonly called “statement of financial position,” is a document that summarizes the monetary balances of a business for a single point in time within a fiscal year. It is often referred to as a “snapshot” of a company’s financial standing. Assets – This is found on the left side of the sheet and is listed in order of liquidity. This includes cash, short-term and long-term investments, accounts and notes receivable, inventory, prepaid expenditures, real estate, equipment and machinery, structures, and intangible assets. Liabilities – This is on the right side of the sheet. This includes the tax, rent, utilities, interest due, and long-term debts. Equity- This is also on the right side of the balance sheet. This is basically the amount remaining after the liability is subtracted from the assets. The balance sheet should include a specific date which indicates that the values and details reported are only valid as of that particular time. Accountants and investors use the balance sheet to check the company’s position financially and to check if a business can meet its financial liabilities or not. It will also help the creditors and lenders determine if the company needs additional credit. Revenue – This includes cash or accounts receivable from the sale of goods or performing a service. Revenue is also called “sales” or “sales revenue” and is recorded as a credit. Expenses – This includes the cost of goods sold, general and administrative expenditures, depreciation, amortization, and research and development expenses. This is recorded as a debit. Gross income – Calculated by subtracting the cost of goods sold and depreciation from the revenue. Operating income – Determined by subtracting fixed expenses (administrative expenses, rent, research and development) from the gross income. Earnings before tax- The amount after the interest and depreciation are deducted from the operating income but before the income tax is deducted. Net income – Calculated by deducting the income taxes from the earnings before tax. The coverage of an income statement can vary; it can cover a year, a quarter, or a single month. Regardless, the covered time frame should be specifically written on the statement. Analysts and accountants refer to the income statement to determine the company’s earnings per share (calculated by dividing the net income by the total number of shares) and to verify how much a company earned or lost over a specific period. 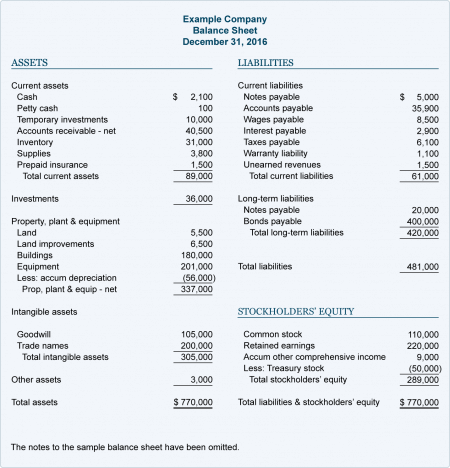 What, then, is the difference between a balance sheet and an income statement? In terms of content and period covered, a balance sheet is somewhat more detailed and specific than an income statement. A balance sheet reports the company’s assets, liabilities, and equity for a single point in time within a fiscal year. 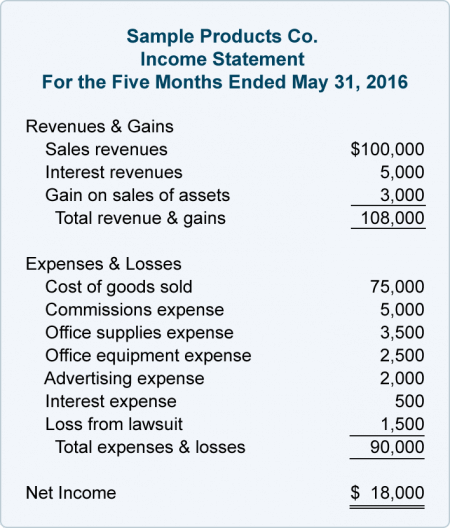 An income statement reports the company’s revenue and expenses over a certain time frame. The two types of documents have different purposes but are equally important in determining a company’s financial wellness. The balance sheet is used to check the company’s position financially and to verify if a business can meet its financial liabilities or not. It will also help the creditors and lenders to determine if the company needs additional credit. The income statement, on the other hand, is used to determine how much money the company earned or lost over a specific timeframe and the company’s earnings per share.